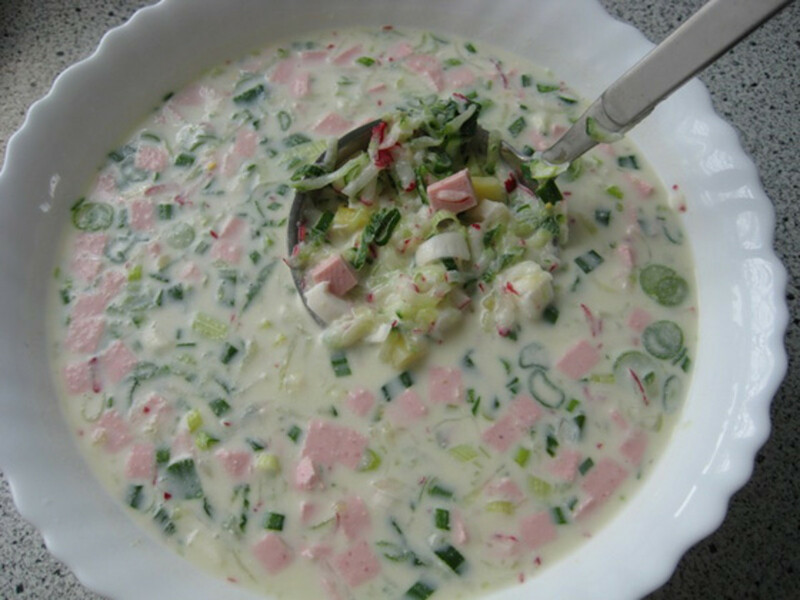 Okroshka is a Russian cold summer soup. 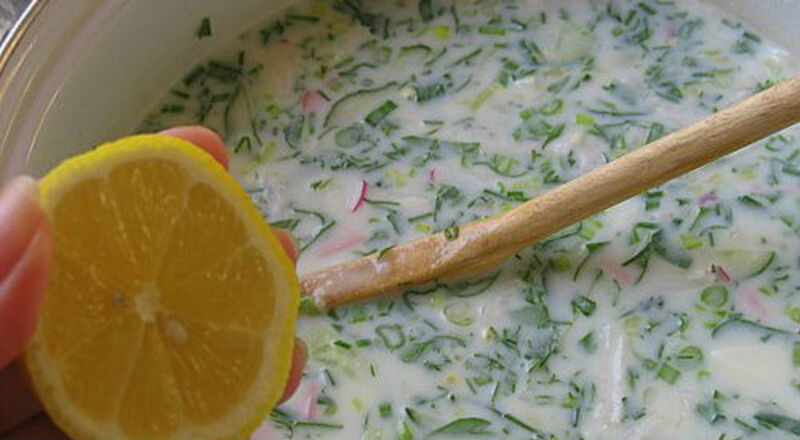 It's very easy and quick to make, and it's very tasty and refreshing during hot summer days. Try it and I'm sure you'll be making it again and again. 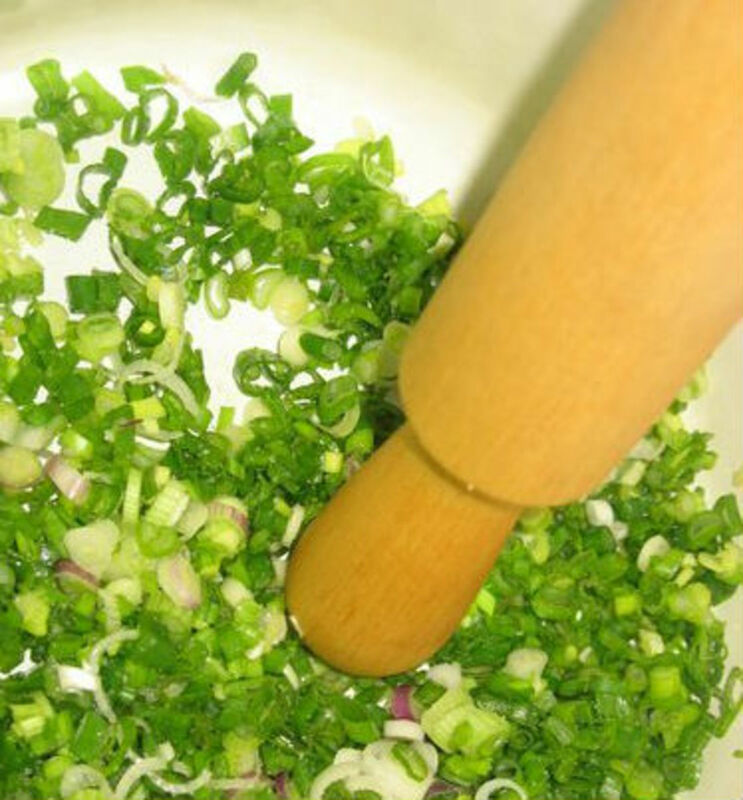 Cut spring onions, parsley and dill into the bowl and mash everything. 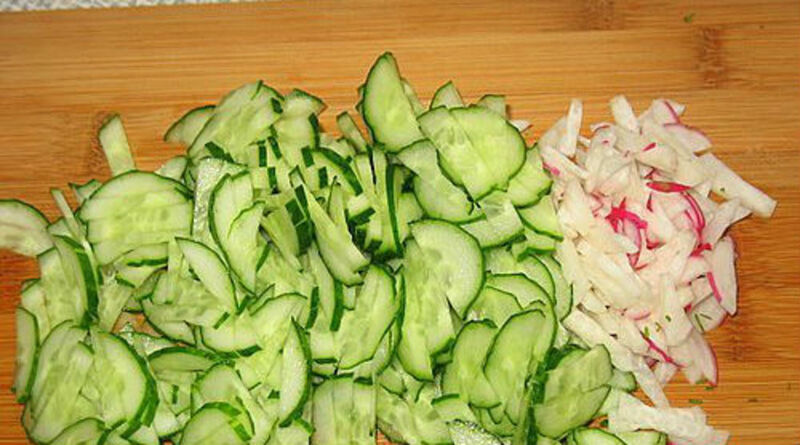 Slice radish and cucumber, add to the bowl. 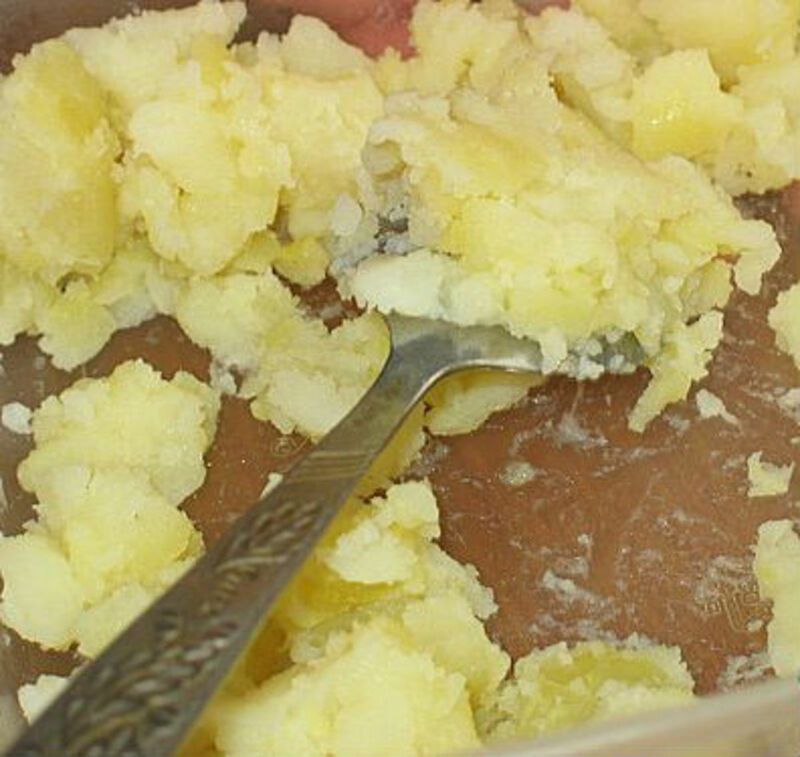 Cut 5 boiled potatoes in squares and add them to the bowl. 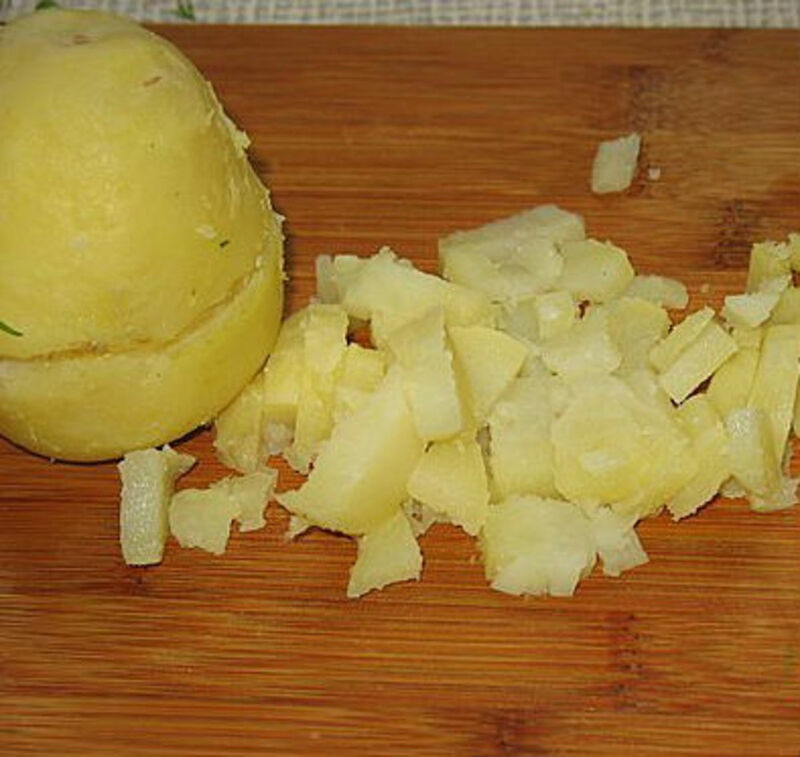 Mash the remaining potato and add it as well (it will give some thickness to the soup). Cut eggs and sausage in squares and add to everything. Add kefir or yogurt drink until desired consistency (I like it to be rather watery). Add salt and squeeze some lemon. Okroshka is ready. Put it into the fridge for 15-20 minutes, and then enjoy! 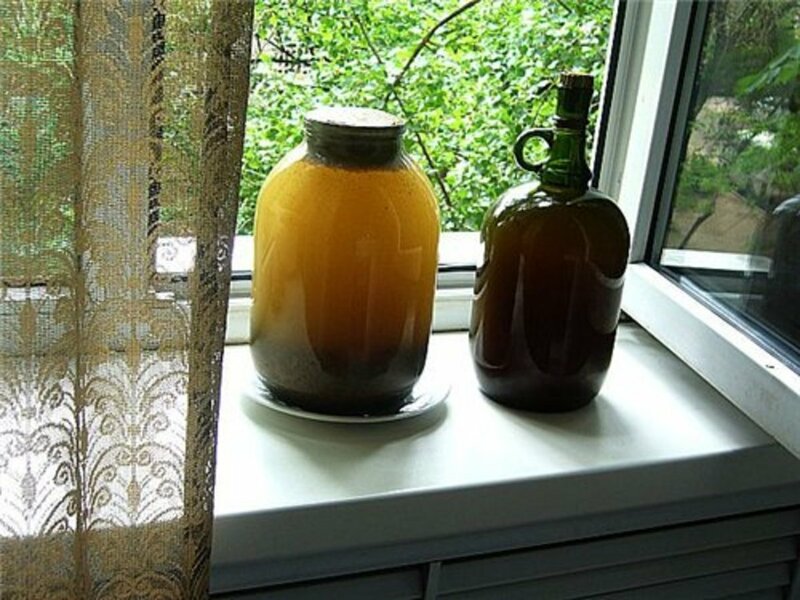 Traditionally okroshka recipe contained kvass which was sometimes added to kefir or used on its own. Russian cold soup was created by burlaks (people who hauled barges and other vessels upstream) on the Volga. For the lunch they were given salt-dried vobla. Since burlaks didn't have healthy teeth, they had to soak vobla in the kvass. To add some more taste, they started adding different vegetables (potato, radish, cucumber etc.) into it. 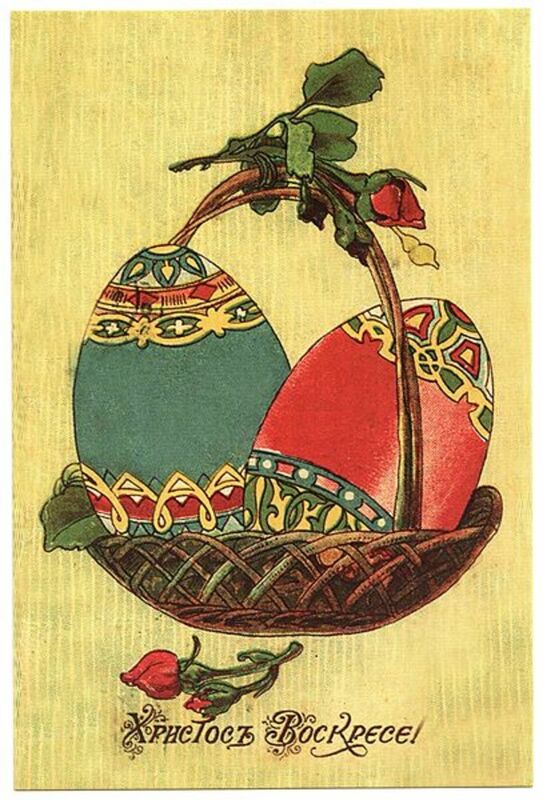 At the beginning of 19 century okroshka wasn't considered a soup or first course, but rather a snack. In Turkmenistan, okroshka is made not only with vegetables, greens and salt, but also with sugar. When the dish is ready, it's left for 30 minutes before it's served. 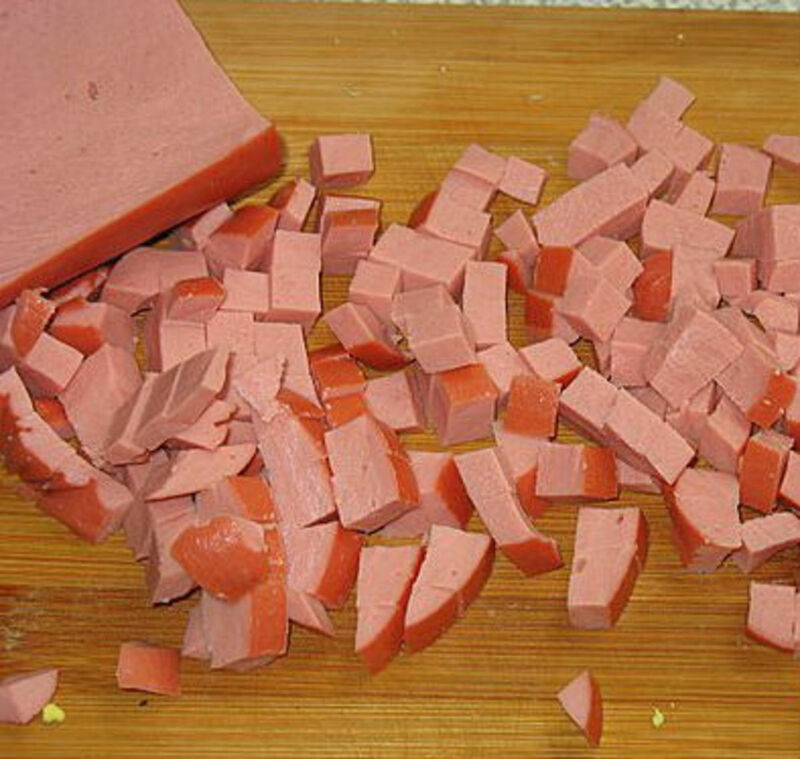 In Lithuania, instead of sausage or boiled meat, fried ground beef is added. 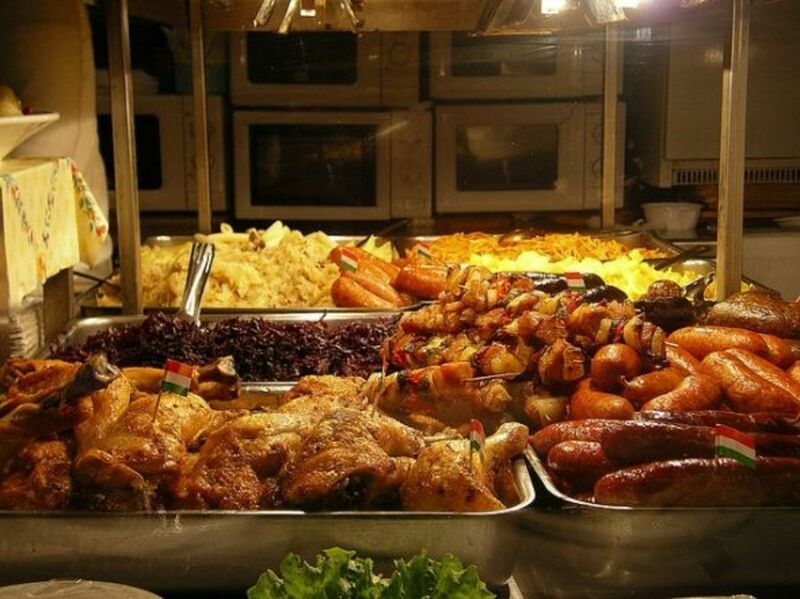 When serving, Lithuanians add 1 tablespoon of minced garlic and mayonnaise to every plate. 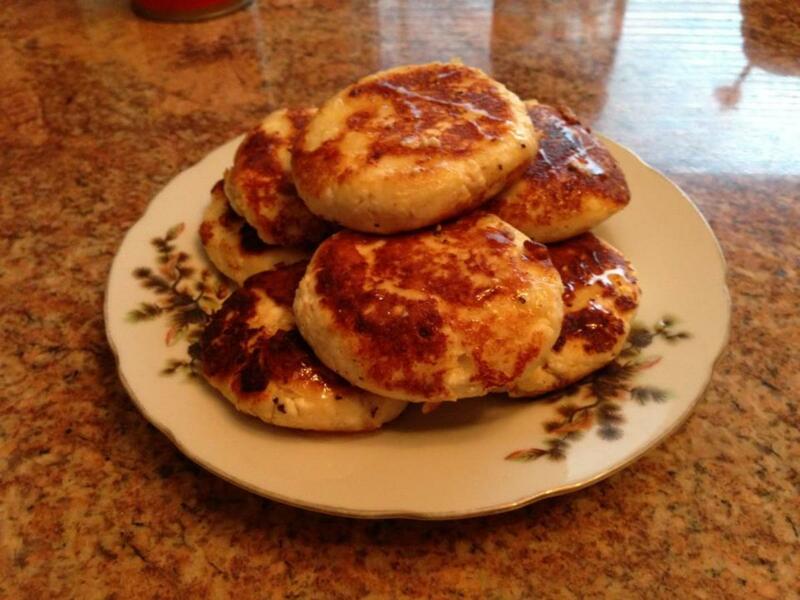 In Uzbekistan, okroshka is called "chalop" and is made with soured milk instead of kefir or kvass. 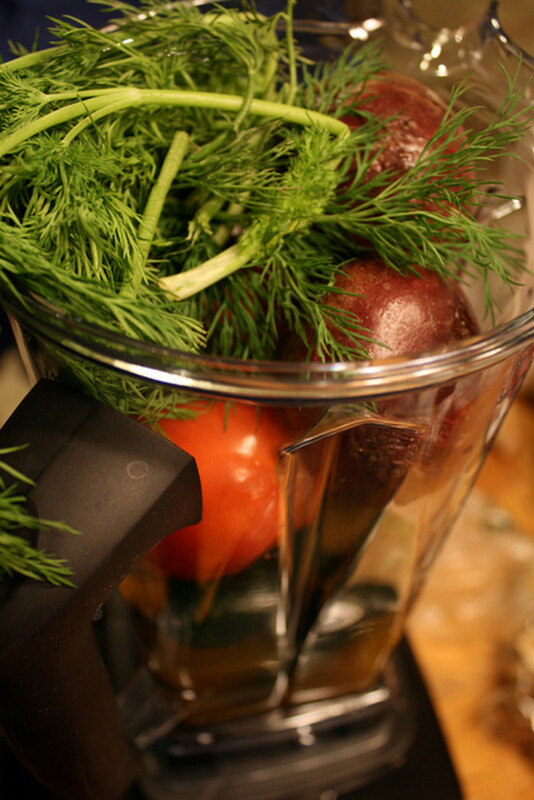 In Belarus, okroshka recipe containe beet kvass, pickle juice or lemon juice. 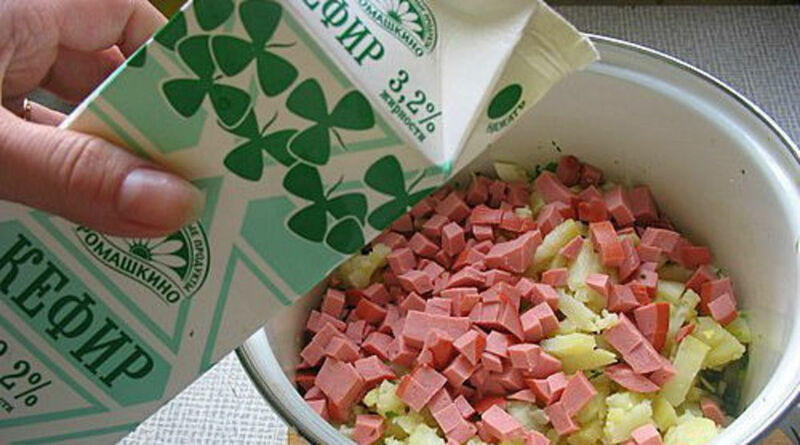 Ukrainians often add boiled beet to okroshka - this also gives nice pink color to the dish. 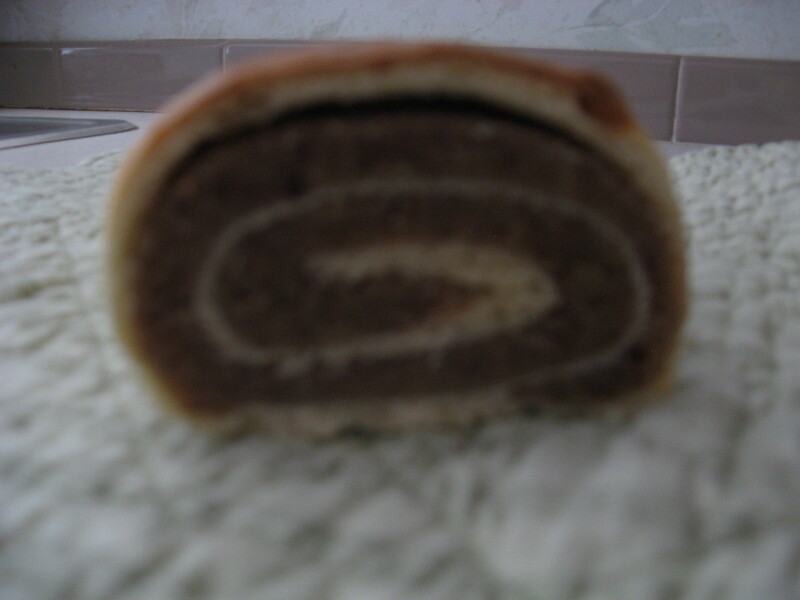 Bulgarian okroshka is called "tarator" and is made not only with vegetables, but with walnuts. In India, cooled plain yogurt is mixed with chicken broth and everything is whipped with mixer, afterwards Indians add tomatoes and cucumbers and season okroshka with ginger, carry, salt, mint and other spices. Other ingredients that can be used are onions, rutabaga, carrot, and mushrooms. Sometimes fish is used instead of meat. 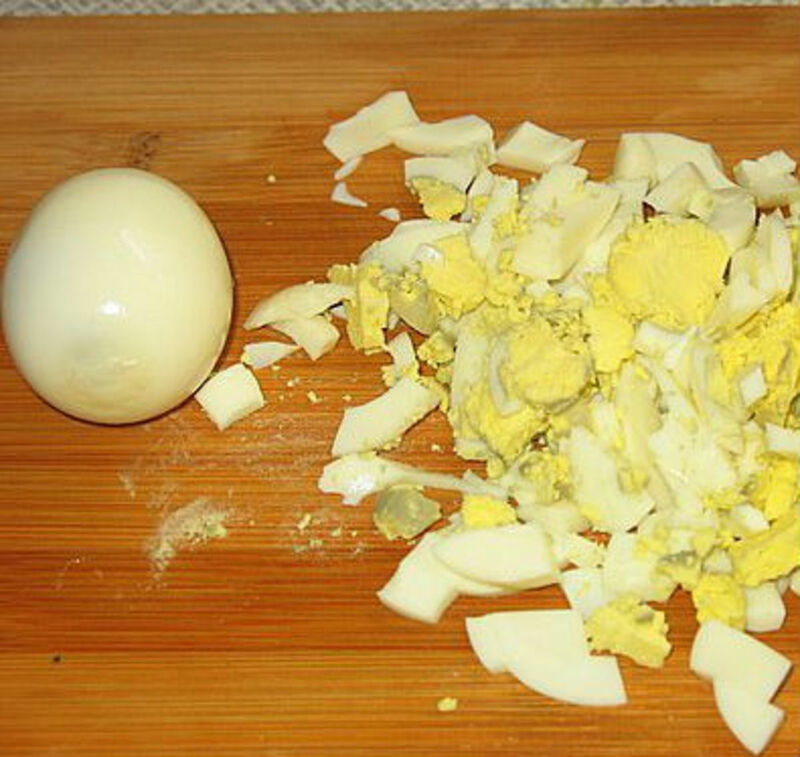 If you make okroshka with kvass, you can also add mustard and whipped egg yolk - try it, may be you'll like this variant better. 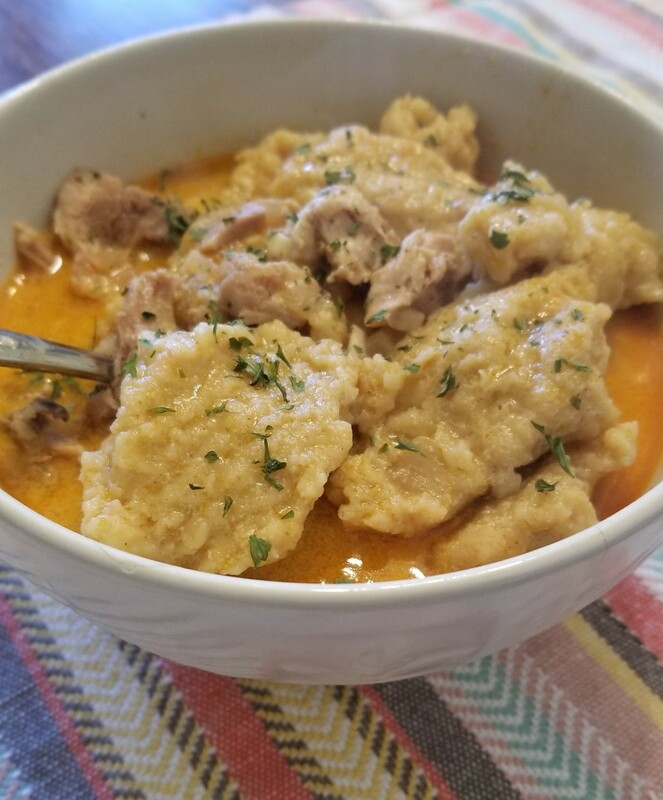 The art of making okroshka is in the perfect mix of liquid and solid parts, so that none of the ingredients stands out on its own, and each of them creates the unique taste of the dish. When serving okroshka, it should be cold. Made this recently. It turned out really well and the flavors were great. Thanks for sharing the recipe.